Morocco is officially member of the African Union (AU) as of this Monday January 30, 2017, following the broad support extended to the Kingdom’s application. 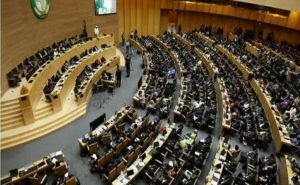 Thirty-nine countries out of the 54 member states of the African Union have acclaimed Morocco’s return despite all the maneuvering of its opponents, mainly Algeria and South Africa. Morocco became thus the 55th member state of the African Union if you include the so-called Sahrawi republic “SADR” admitted in the 1980s during the Cold War era. The leaders of the 39 African countries imposed Morocco’s admission without resorting to a vote, although a vote would have been, in any case, in favor of the return of Morocco, as an overwhelming majority of African countries back the move. Only a dozen countries, including Algeria and South Africa and a few small English-speaking satellite countries, were opposed to the admission. Guinean President Alpha Condé, who has just been elected president of the African Union for a four-year term, bravely shunned both Algerians and South Africans who wanted to postpone the kingdom’s admission. He chose to respect the will of the overwhelming majority of member states, especially that the admission of Morocco needed only a simple majority of 27 + 1 member to be enacted. The efforts made by King Mohammed VI as part of the large scale and sound diplomatic campaign he carried out over the past six months, particularly in English-speaking Africa, proved conclusive. And this is not surprising at all, because these efforts are driven by an earnest will to foster Morocco’s rapprochement with its African brethren and to promote South-South cooperation at all levels and in all fields, unlike the Algerian regime, which is spurred only by hegemonic ambitions.